Some Republican candidates for Governor are supporting medical marijuana. Medical marijuana has caught the attention -- and support -- of some Republican candidates for Illinois governor. While most conservatives stick by the long-held opposition that it would start the state on a slide toward pot legalization, it has become a debatable issue for the GOP. Smoking or eating the illegal drug eases pain and nausea in people suffering from a variety of ills without the sometimes harsh side effects of existing medicine, the state Senate agrees. It voted to approve using it under a doctor's care last spring, but the House failed to go along. ``In narrowly defined instances where a doctor believes this treatment would alleviate the suffering of an individual suffering with a debilitating disease like glaucoma, I would be inclined to allow a licensed doctor to prescribe such treatment,'' said candidate Dan Proft, a Chicago public relations consultant, in answer to an Associated Press questionnaire. More than a dozen states allow marijuana use for medicinal purposes. Strangely, so does Illinois. Medical marijuana was legalized here in 1978, but it has languished; bureaucrats have never implemented the practice. The pending legislation would set up a public-health registry of people using doctor-approved marijuana to relieve the pain of, for example, Crohn's disease, or the upset stomach caused by chemotherapy. Patients could possess seven plants or two ounces of the dried drug. ``People who are seriously ill deserve access to all medical treatments that will help them fight their illness and recover,'' said Democratic Gov. Pat Quinn, while not promising to support specific legislation. His opponent in the February primary, Comptroller Dan Hynes, did not answer the question. He said he opposes ``outright legalization of marijuana'' and proposed rewriting drug laws to review priorities and criminal sentencing. On the opposite end, Green Party candidate Rich Whitney, a Carbondale lawyer, backs general legalization. That's exactly what worries Sen. Bill Brady, R-Bloomington. 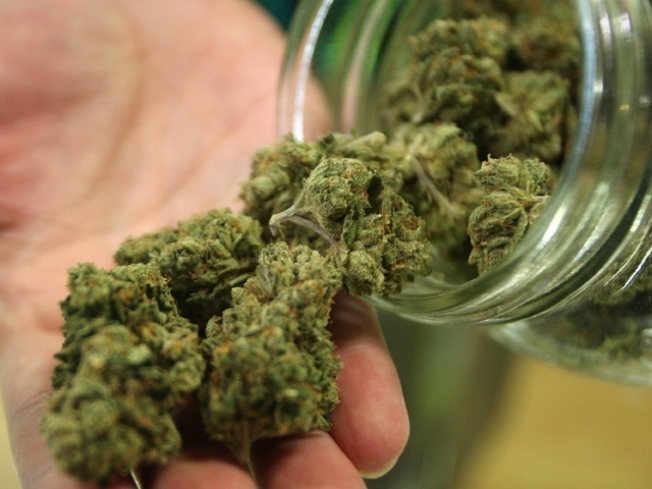 To Sen. Kirk Dillard, a Hinsdale Republican who opposes medical marijuana, enforcement is key. DuPage County Board Chairman Bob Schillerstrom opposes the idea because of what he cites as a lack of research. ``Relatively few studies have been completed on the health benefits relating to the effects of inhaling marijuana as an alternative to currently available treatment,'' Schillerstrom said.